Homemade pizza is sooo easy & you can make it just the way you like it. 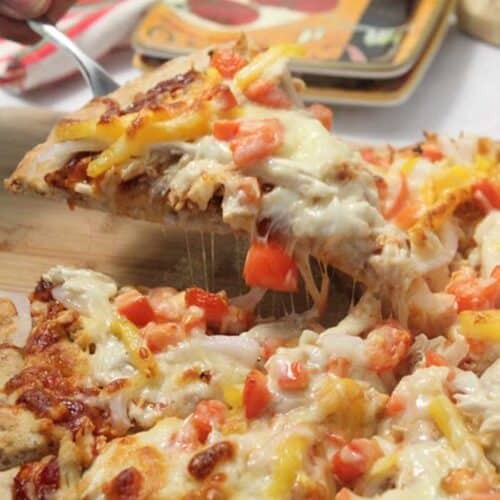 Our BBQ Chicken Pizza is chock full of chicken, onions, cheese & your favorite BBQ sauce. Mix pasta sauce and barbecue sauce together and spread over crust, keeping it at least 1/2" away from edge. Top with chicken (as much or little as you want), onion rings, tomatoes and peppers.